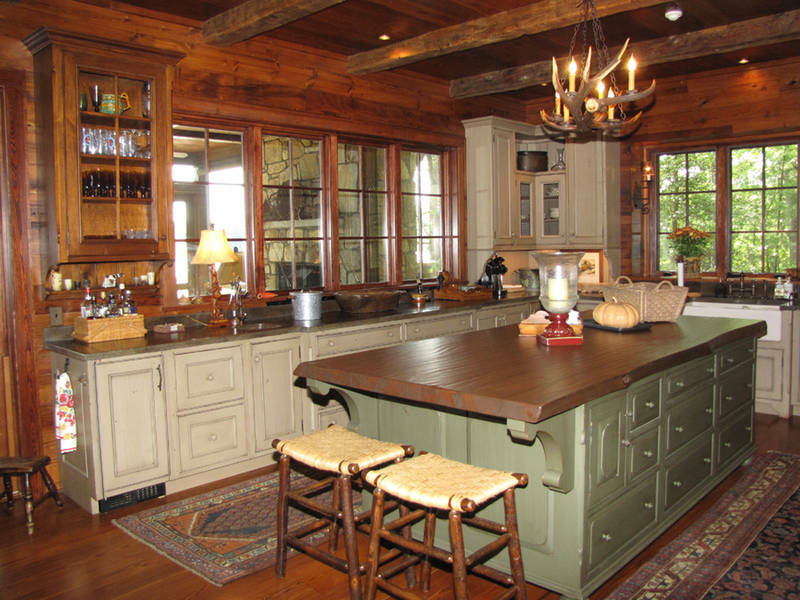 In addition to providing our "Custom Classics" house plan modification service, New South Classics now offers a full range of kitchen and full-house cabinetry planning and design services for everything from "generic" to a specific manufacturer's product lines. Product lines we suggest are represented in the manufacturer's photographs below. Our typical house plan set includes interior wall sections and elevations indicating cabinet placement and dimensions reflecting what is shown on our floor plans. 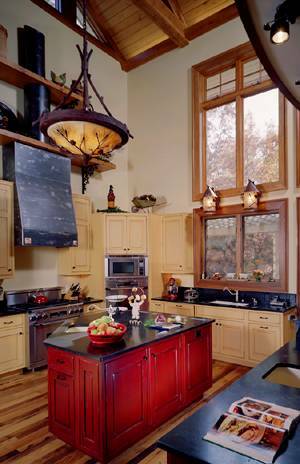 These are intended as possible configurations of cabinetry that will allow you and your builder to select cabinets and other related casework that suit your individual taste and design preference. Now, our Custom Classics Cabinetry design service can provide full planning and design of your cabinetry with dimensioned plans, elevations, sections and details as well as perspective renderings to help you visualize what your cabinetry will look like as designed! 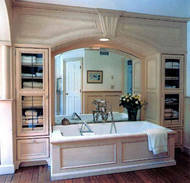 Mouser Custom Cabinetry Design by New South Classics . Our professional kitchen designers have designed award winning kitchens for New South Design and New South Classics. Now they can provide custom kitchen and bathroom cabinetry for your New South Classics plan with our "Custom Classics Cabinetry" upgrade design service. 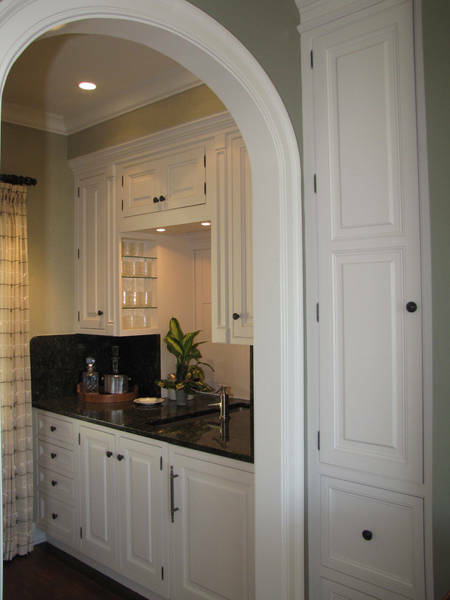 Note: Our clients can choose our design service only, for use with any manufacturer, or they may elect to choose the design service with the ability to purchase Draper DBS and Mouser Custom Cabinetry and apply the full design fee to their cabinet purchase! New South Classics is proud to feature three of the best manufacturers of fine custom cabinetry products specially selected for our plans. 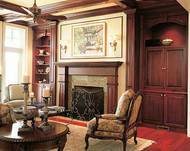 These cabinet makers represent the quality standards we recommend for our homes. 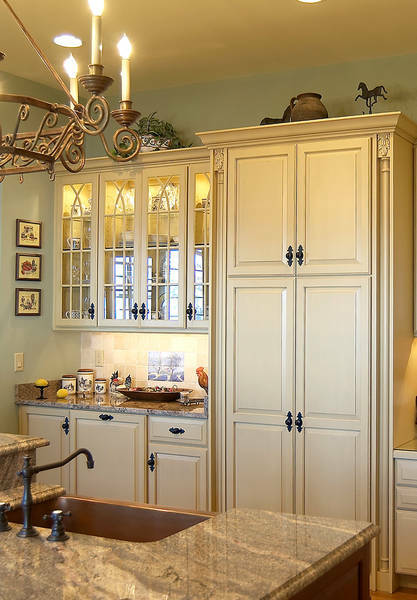 The look and feel of the cabinetry we have selected compliments any New South Classics plan with a look and feel that pulls the whole design package together. 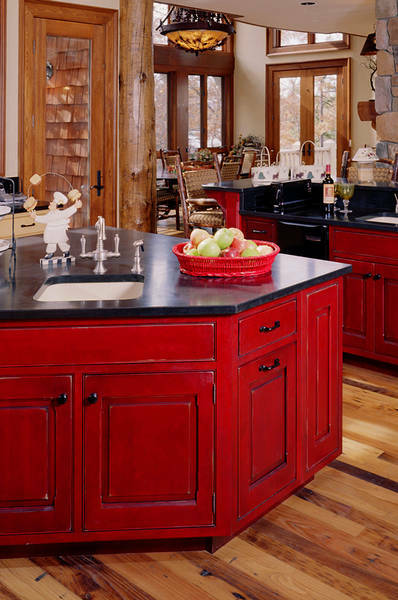 Our Draper DBS line, for example, takes pride in their authentic reproduction, solid wood cabinetry constructed by skilled artisans, which is evident in every detail, inside and out. A must see! Every style from "Old World" French and English, Italian, and American inspirations are available. Choose from our exclusive "Custom Classics Cabinetry" Designer Series of coordinated cabinets, counters, colors and finishes available in a range of prices and pre-selected to compliment each style home we have designed. These manufacturers are Draper DBS Fine Cabinetry and Furniture, Mouser Custom Cabinetry and Outdoor Kitchens by Atlantis. The custom design abilities available with both Draper DBS and Mouser Cabinetry allow us to create rooms that are authentic to the style of the plan you select. We have made your selection easy, by carefully pairing the style that best suits your plan and have customized it to fit the plan you have selected. Our exclusive New South "Classic Colors", coordinating counters and exclusive hardware are carefully selected to give your cabinetry a truly custom look. These combinations are exclusive to New South Classics. 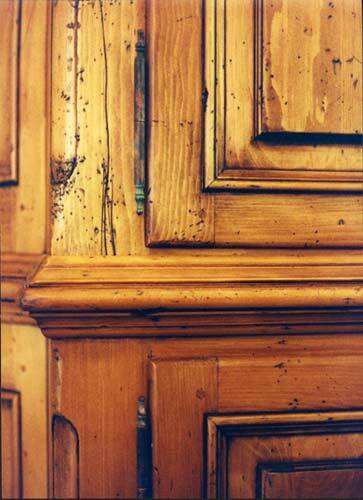 If you desire, we can customize your cabinetry to suit any configuration and style preferred as a Custom Classic. 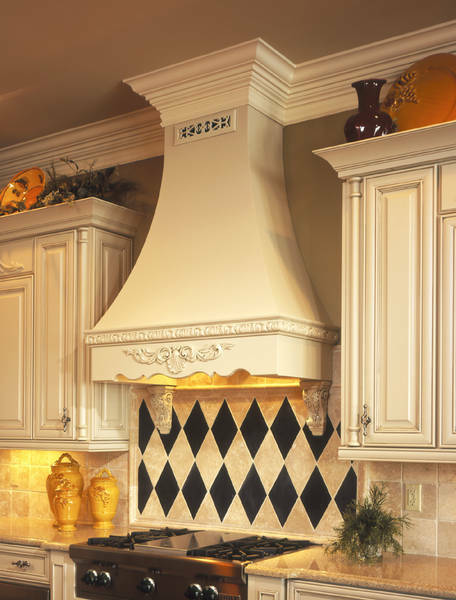 You can take comfort in knowing that our professional designers are specially trained to help solve the unique decorating and storage needs of your New South Classics kitchen plan. 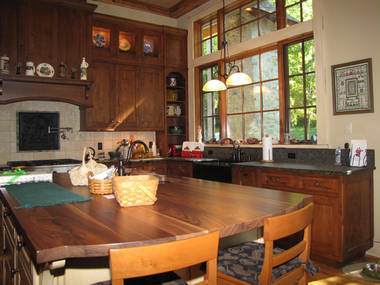 Let us design a kitchen or bath for you! 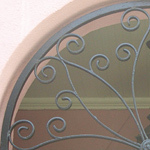 Working within your budget, you'll receive design and installation assistance from our experts at New South Classics whose primary goal is your complete satisfaction. Our preferred manufacturers and New South Classics are here for you. 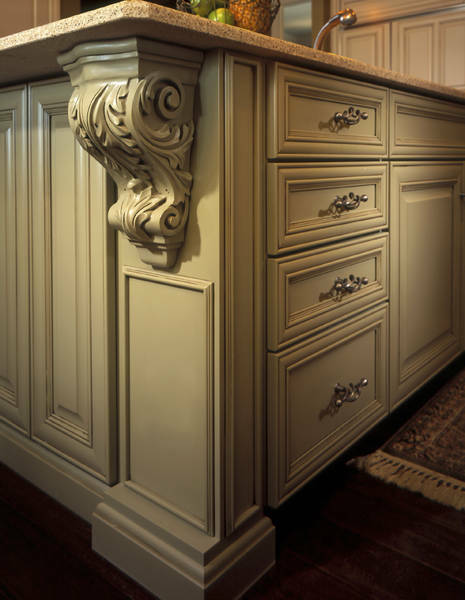 Our Custom Classics Cabinetry designs can make any room elegant. Useful, attractive storage and work areas enhance the visual and functional aspects of any room. 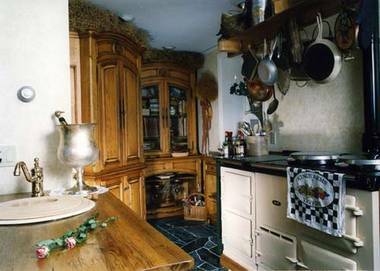 Each room can reflect the Old World style of your house with careful attention to period detail as in this study. 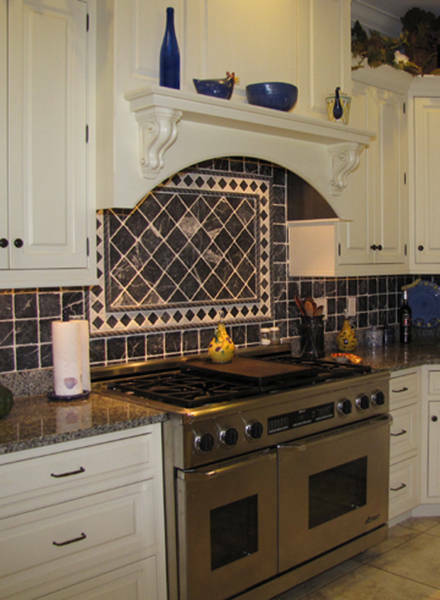 Choose from our collection of styles and manufacturers specifically selected for our plans as an additional service of New South Classics' "Custom Classics Cabinetry" planning and design service. Contact us for details if you want to upgrade your plan set. 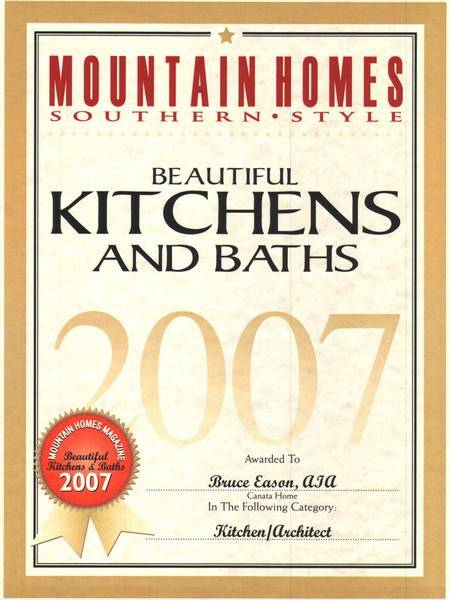 Let New South Classics make your kitchen and bath award winners too! Cabinetry Design by Trish Klein of New South Classics. Cabinets by Draper DBS Fine Cabinetry. Outdoor cabinetry can take your living spaces outside! 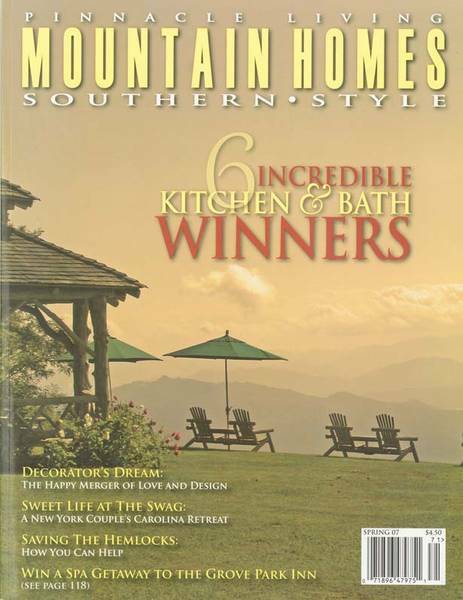 Let us design an outdoor living space for you on your New South Classics terrace, screened porch or deck. 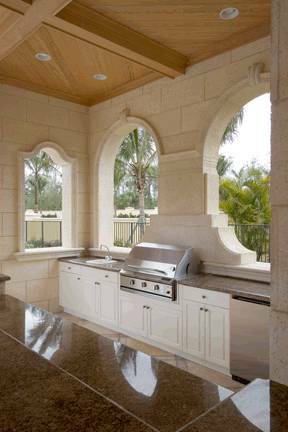 Our designers will custom design around the Atlantis Outdoor Cabinetry line of products including outdoor cooking equipment including gas grills, hoods, under counter refrigeration units, ice makers, beer taps, and cocktail stations.. They offer teak, cypress, and their new GREEN addition, BAMBOO! 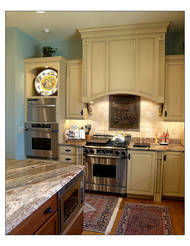 We can provide design and equipment specifications that fit your made to order cabinets. 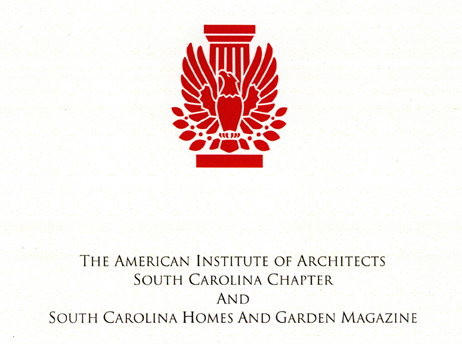 Design is complemntary with your order of Atlantis cabinets and equipment through New South Classics.